← Summertime, and the livin’ is . . .
Did I say we have candles? We have candles! Folks think about burning candles in the colder months . . . snuggling under a cozy throw, in front of a crackling fire, with the warm comforting fragrance of a familiar candle scent. Summer is not a big candle burning season. Most of us are thinking cool and refreshing, not warm and cozy. 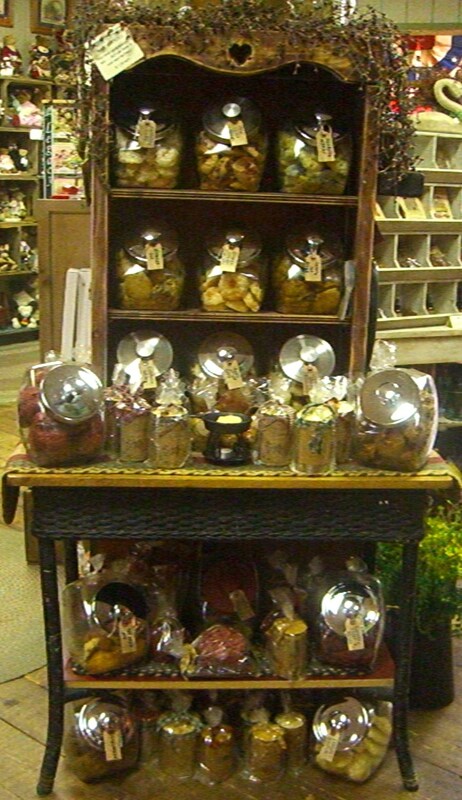 But, today’s candle and wax warmers allow us to have the great, comforting fragrances without burning a candle at all. And for us who work and live in air conditioning, fragrancing our home is important when we can’t open the windows for days at a time. Check out some of the candle and wax warmers we have in stock just now . . . 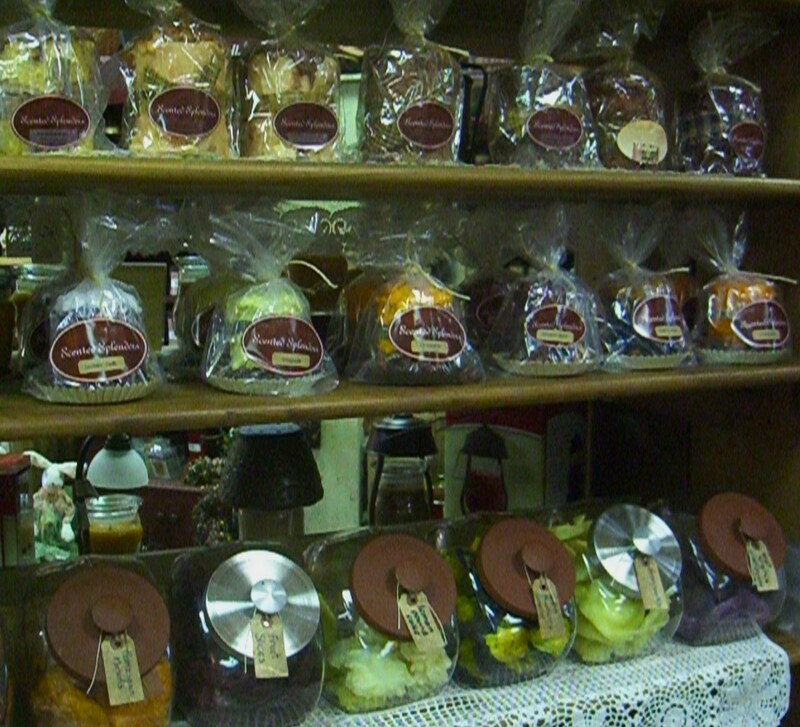 There are several styles of wax melts . . . chunks of scented wax (without a wick) when warmed and melted, give off a fragrance that will last up to a couple days. And most of our candle companies make some sort of wax melts in many assorted fragrances from fruity and flowery or cologne to spicy and baking scents. Our wax melts are a huge hit with our current customers, and ‘food’ scents are by far the most popular! No wonder with names like Blueberry Cobbler, Lemon Cookie, Birthday Cake, Warm Cinnabuns! A tip to pass on. . . something we found out when we had a soy candle in a jar that was chipped — soy jar candles have very soft wax. We scooped it out with a spoon to use in our wax warmers! Some candles; jars, cakes, and wax melts have a great scent even without burning or melting. This is called a cold throw. When you set a cranberry cake candle on the table and a neighbor can smell it as soon as she walks into the room — this is the cold throw. So just setting an open jar candle or a dish with a couple wax melts of your favorite scent on a kitchen shelf for example, may be just enough to give a fresh homey scent. In July, we want to introduce you to two of our candle lines, if you’re not already familiar with them. 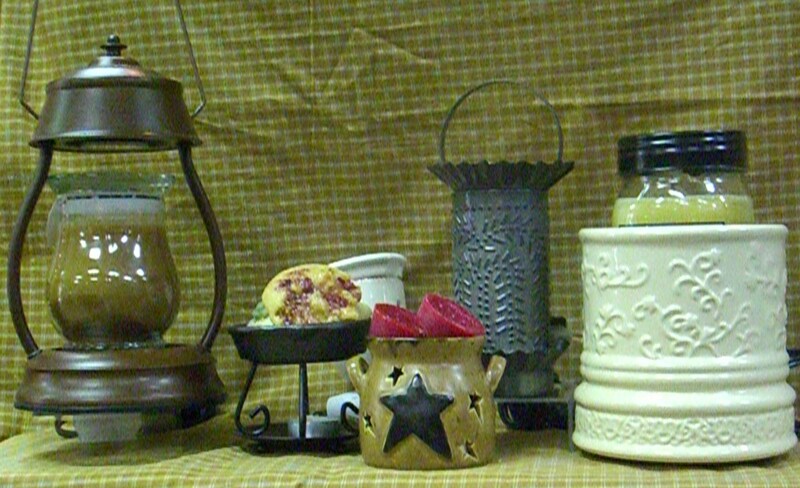 Primitive Glow and Scented Splendors, both made in West Virginia, will be featured for the whole month. Look for cake candles, votive and muffin gift packs, candles in a can, and of course — cookie melts! There will be specials on each of these all month long on in-store product. We’ve stocked up on some of your favorites just for this occasion. When you do make a candle purchase in July, mention that you found out about this special from our blog, and we will have a gift for you! Limit one gift for the month, please. Offer good while supplies last. Over July 4th weekend, we will be participating in the North Hanover Mall’s Sidewalk Sales. Starts July 2nd and goes thru July 5th. Don’t be afraid to go out on a limb, that’s where the fruit is.